Geoffrey Chaucer was a geek? Surely not. He was a 14th-century poet, most famous for The Canterbury Tales, that sprawling collection of stories of medieval pilgrims on their way to Canterbury. But Chaucer also wrote one of the oldest scientific texts in English, a short treatise on the astrolabe. This is not a literary work in the modern sense of the term, but a serious manual explaining how to use these most iconic of medieval scientific instruments. 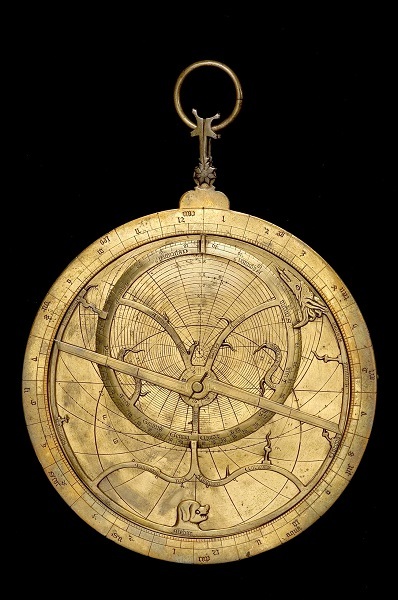 Astrolabes are extraordinary and sophisticated astronomical devices which capture the appearance of the sky. They tell the time and solve a huge range of related questions based on the sun and stars. They can show direction without a compass, measure buildings and wells, and even assist with the problems of astrology. With its almost endless uses, surely no one would deny that an astrolabe is the ultimate geek accessory?